Two cases. 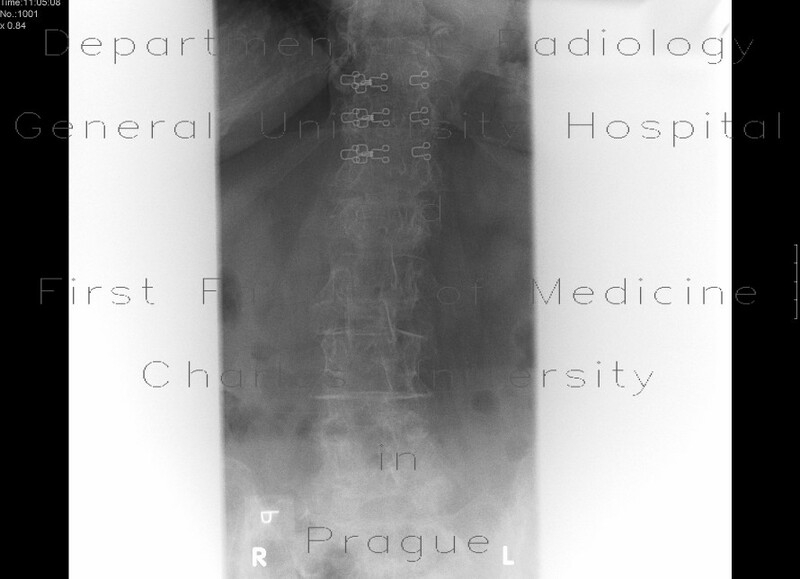 The first two radiographs show compression and fracture of the upper end plate with decreased height of the vertebral body, the posterior edge is spared. A separate fragment from the anterior upper edge. The second case shows compression affecting more the posterior part of the vertebra, fracture of the upper end plate, the fragment of the posterior upper edge slightly protrudes into the vertebral canal.